So, the journey from the capital of India came to the border of Nepal. Now our next step was to get the bus to the capital of Nepal, Kathmandu. 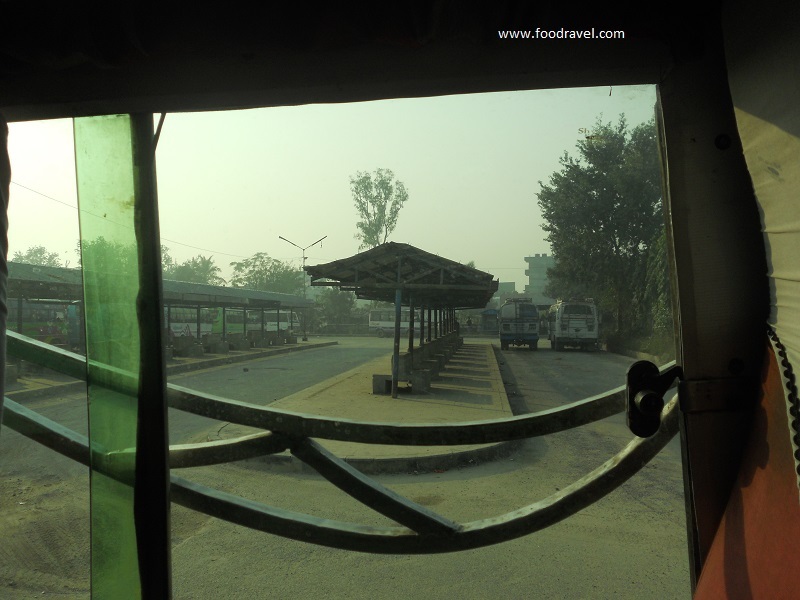 We reached Sonauli in the morning and crossed the border from here, the Indo – Nepal Border. After crossing the border and entering the land of Nepal, we planned to get fresh and have some light breakfast. Our team leader was quick and active. He went to the bus booking office and got our tickets. We had our breakfast, washed our faces which went dull and dried due to long journey. I went to the currency exchange office and got INR changed in to Nepali currency. As we were no longer in India and we couldn’t do with INR in Nepal. Though we were told that Nepalese do accept INR as well, but still we needed Nepali currency. Moreover it’s always good to have local currency in a foreign land. We were asked to sit in a jeep which would take us to the main bus – stand. The main bus – stand was around five kilometers from the border. We sat in the jeep and it rode away throwing dust behind. On the way, we were again checked by the military. When we reached the main bus – stand, we found many buses standing in queue. We got confused with our bus and then our leader found then ours one. We all got into the bus we had tickets for. We had big sized luggage and were asked to put our luggage top. Though we had two guitars, we didn’t agree on this stupid idea. We offended in several ways. Finally our team leader managed to convince the bus staff diplomatically. Being diplomatic is really good in such situations where you don’t find our own stand and you can still find. Anyways, what I was stuck with our really terrible. People who have height more than six feet always have to face problems in sitting mini buses. Same happened with me. The bus was too small to give me full space to put my legs off the given space and I couldn’t adjust. I told the team leader and he gave me a sign of helplessness and hopelessness. Well, it was all what I had to suffer again whole the way to Kathmandu, the journey of round the clock distance. (I don’t remember the distance in kilometers but I do remember that it took almost a day for us to reach Kathmandu). I have always wanted to travel sitting on the window seat either in train or bus. I hope it’s not me only; we all want to do so as it allows us to have look on the views outside, or some people have other problems. But for me at first place, it’s the view outside the bus. Dinesh occupied the window seat and I sat with him on the next seat. We had out plans to shoot in moving bus. Though we were not professional photographers but we pretended that we could do that. So, finally all settled and after half an hour of this and that, the bus started to move from the bus stand. Soon, we left the bus stand and it got disappeared from our eyes. The journey on the way was really wonderful. It was a whole lot of excitement and full of pleasure. The beauty of this land is really beyond any definitions. The rocks and hills were like green sculpture. Just the road was left blank, rest everything was covered and colored with green. It was really an eye soothing and pleasant to see such greenery when you stay in Delhi NCR and get tired of pollution and noise. I was like wandering in the lap of nature with no fear, no worry, and no tension. I was like all free from this world. I found myself amidst of the nature. I have always wanted to explore the natural horizons and the journey was something a wonderful experience and I wish to cherish it every time I remember. The bus passed through many hilly areas. One side hill one side plane. And the hills were all covered with green leaves and trees. Everything was so pleasant that I just wanted to stay and live there in the lap of nature. It was really blissful for me. 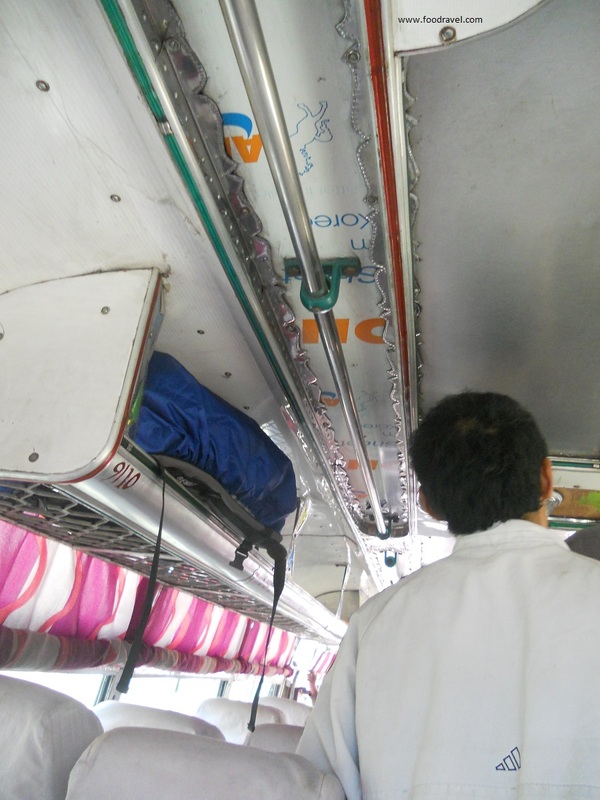 Though I was not feeling comfortable sitting in the bus. But the scene outside the bus was making me forget everything. After long journey, the bus stopped on the way. It was stopped for some refreshments so that we could make ourselves feel comfortable as the journey from the border to Kathmandu is very long. So, the bus was stopped at a place which had some shops. There were many eatables, snacks and everyone seemed tired. Our team leader bought us some snacks. We all pooled in and bought some more. We went in a small restaurant like shop which had proper food. But we saw and didn’t like all the things. They were selling Indian eatables also. They knew Indians come and they could make money like that. We bought water bottles. I needed water badly. It was a long journey and the bus didn’t stop frequently on the road. A long journey means fewer stoppages. The bus stopped there for around half an hour. The bus – driver called us. We had some snaps there. Everyone started to get inside the bus and sat. I didn’t get the seat I was sitting on. So I had to sit on the last seat. Again I had to suffer so long. On the way, two Australian visitors got in and sat with me. A boy named Travy and another girl. I don’t remember her name. The bus was moving on its full speed. On the way many people got in and many got down. We were to get down at the last. We sang, we talked and we snapped. The day light turned dark. And darker and darker! After long hours of travelling, the bus was stopped again on a food shop. It was bigger than the previous one. All crowded! We sat on the chairs and I bought something to eat, some snacks and a cold drink. We all had our shares. This was the last halt. After that it would only stop in Kathmandu. The bus rode away again. It entered into residential area from hills and forests. Once I got to see people on the road and around, I realized that the destination is not so far. Lights of running vehicles decorated the road. The city of Kathmandu was looking good in dark with lights. So, finally a long journey of day, it came to end. We got down from the bus. We gathered our luggage. Now from here we had to go our final address in Kathmandu where we had to stay, Thapathali. It is a place in Kathmandu. I first went to an ATM and transacted a thousand rupee. I was surprised to see a Punjab National bank ATM there in Kathmandu. I got the money. Our leader hired a cab. All the private cabs were Maruti 800. We were 5 and anyhow managed to sit in. It took around an hour for us to reach Thapathali. We finally reached to the address after so many wrong directions. We were welcomed by a Pastor who was waiting for us. We followed him to the guest house where we were to stay. The guest house was really wonderful. Though not so much big, but beautifully decorated which I had only seen in movies. There my other friend, Abdi Baxter was already present and some other people whom I know but not by name. We changed and had dinner. Tired by the journey, we fall asleep as soon as we got into our sleeping bags.